Hiccups in life do not come by invitations. Getting prepared for it is many times not possible. To minimize this danger or stay away from it, mobile applications developers have made extreme efforts to rationalize it. 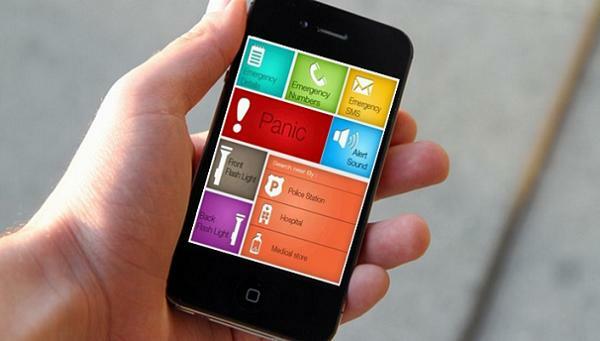 The question arises as to how it can be possible during emergency times with the help of Smartphone in your hand to negotiate or conceive help during it.The answer to this is that these apps govern inbuilt sensors and app coding is such that help you in some or the other way during tough times. Top rated mobile applications on any damn platform that has and is currently helping people to keep them out of it partially or even minutely have been listed below. The mobile apps development companies have taken utmost care during app making and SMS marketing tips to cover as much as they can pertaining to the after effects of the emergency. High-end Smartphone tend to get lost or snatched very frequently. So this app helps you to come up with emergency contact number in case of the lost phone. The person who finds your phone cannot access any further information other than emergency contact number posted on the locked screen. This becomes efficient way to retrieve your mobile and avoid any kind of emergency related to the phone. In case of any sort of emergency that catches you at home; during travelling, driving, walking or accidently, this app becomes helpful to you in pointing out nearest police station, hospital, fire station, chemist and all other areas which are best utilized during alerts. The details you can store within for emergency are blood group, contact during emergency, direct SMS with sensor awaking during accidents. This is a special app for all the ladies and women or say girls who are threatened or exploited by solaces like eve-teasing, rapes and other unavoidable harassments. Just pressing a button during emergency, there is direct call or SMS to the parent or guardian or numbers that have been enrolled previously. Also there is a facility to automatically call nearest police station immediately within few seconds of attack. This app is more generalize for all groups and ages of people including men, women, old aged, children etc. If you are facing any sort of difficulties like theft, robbery, pick-pocketing, physical harassment, this app has 3 loud sirens that set free on one click to let the nearby persons inform about the difficulty faced by you. The instant aid during any sort of unforeseen attack can be available through this app. Each and every thing that is required during the course of emergency like torch, a list of first aid to be brought together, personal alarm and list of complete helpful noting medical aid during any kind of attacks. Also ICE- in case of emergency helps you to get in touch with medical professionals at pin point of time. In short this app is the complete package during emergency. These public utility apps help, warn and guide you during tough times to ensure your safety and security. In addition to providing entertainment and manipulating market economy, Mobile apps development has also created such useful apps.